Eric Draven is the tragedy. Haunted by his own death and that of his fiancé, Eric has returned to exact justice on those responsible. Armed with his guitar, his wits, and a sense of humor, he sets off on his quest. There is an air of sorrow beneath his strength, and he just wants to right the wrongs and find his peace. Michael has had his fair share of challenges, but he continues to fight. He’s both talented and smart in many areas, delving into the details above and beyond. Some days he is overwhelmed by the weight of it all, but not his quest. I admire his tenacity and hope he finds his peace. He is a good friend. 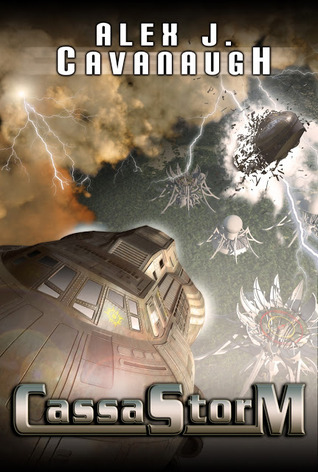 Michael is the author of Slipstream and Oculus. To you I dedicate Carve Away the Stone, by Rush. Brandon Lee was accidentally shot on the set on March 31, 1993, and pronounced dead at a Wilmington, NC hospital six hours later. This was just seventeen days before he and fiancé Eliza Hutton, who also worked on the film, were to be married. She petitioned that the film be completed, and it was released a year later, dedicated to the couple. Co-star Ernie Hudson played a cop in The Crow, and a cop in two other films release that year – name them. B’s trivia answer – Satriani played lead guitar for Mick Jagger of the Rolling Stones. My awesome co-hosts this month are Annalisa Crawford, Julie Luek, and Elsie. Today I’d just like to extend an invitation to any writers out there who haven’t heard about the IWSG. Every month, this group amazes me even more. Everyone is so supportive and encouraging. 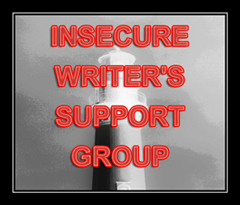 If you are a struggling writer or seasoned veteran, you find yourself welcome into the group. Once a month, we post our insecurities or a word of encouragement for others. It’s a safe outlet for those frustrations we often face. Author and Geek Twin, Nigel Mitchell, composed a large list of editors for indie publishers HERE. Damyanti at Daily (w)rite has been featuring books this month for the Challenge, and today it is my latest book, CassaFire! Thanks, Damy. Fan of The Crow or Michael? Familiar with Dream Theater? Know the trivia question? Are you a member of the IWSG? (If no, please join us!) What is your insecurity today? That's a nice tribute to Michael Offutt, and I am always impressed by the power of the IWSG. I'm glad to be a part of it! Yay for IWSG! I adore the group. Everyone makes me feel so much better if I'm down. The Crow is one of my favorite movies of all time. Michael is a most excellent choice to represent Eric. 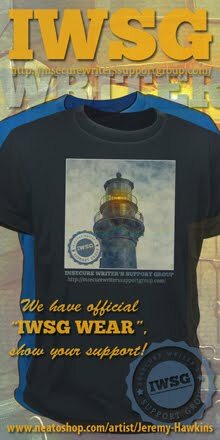 I am very happy to be a part of IWSG and love how its grown. I've never seen The Crow, but I'm a fan of Michael's blog and his novels. And thanks for the link to the editors list. I should probably watch The Crow again. At the time, I got kind of tired of all the craze over it and, thus, got tired of it, but it's getting close to 20 years since I've seen it, so I should probably do that again. Nice to see Michael getting some spotlight! I liked The Crow. It was....odd..but still a good film. Brandon Lee definitely died too young. I've not seen The Crow in ages - it'd be good to watch that again. It's a shame that Lee died during filming; he could have been big. I love The Crow. Michael's awesome and so is IWSG. I love how you always find a way to pay it forward. Congrats to Michael for being your person of the day. And yes, I'm ready for IWSG. LOVE the IWSG and I never remember to post.... but will tomorrow. It fits into my theme so yeah for me! Both Brandon Lee and his father, Bruce Lee, came to early tragic ends. So sad. I am a very grateful member of ISWG and agree that its power to help writers is amazing. Thank you, Alex. i hope to do a to z next year!! Michael is quite the amazing person. thanks for giving props where needed!! iwsg up and away!!! "Ninaj News"? I think you haven't got enough clones. This mistype is the sign of your weariness. I've never seen The Crow, but I love the poster! Lol, although it worked I've now broken it! I just met Michael through A to Z a couple of days ago. I remember hearing about what had happened to Brandon Lee and feeling terrible about it. He had a promising career ahead of him, and his life was unfairly cut short. Another excellent film, deep dark and moody!! Can't think of any other Ernie Hudson film apart from Ghostbusters?? Hi Alex .. I've never heard of the film .. but Michael now he's another story - so pleased you gave him a shout out .. I love both Crow as a movie and the television series. Can't wait to read Cookie Monster. IWSG would humble anyone, thanks for creating something so woonderful Alex. Will check out that list of editors. *Whispers* Editing isn't my strongest suit. I'm too insecure to talk about this month's insecurity - so I just glossed right over it in my ISWG post. Insecure but cunning, that's me. Brandon Lee was another Bay Area boy, though he's now buried here in Seattle, right next to his father. I absolutely loved him, so much so, I named my son after him. His death hit me very hard. But yay for Michael! He has suffered his fair share & I, too, pray he finds peace. Sorry I have missed the Insecure Group but have hospital appointments this week and had an early night last night. Nice tribute to Michael. I'm so glad to be a part of the IWSG, and I can't wait to see you as Cookie Monster! Yep, I'm a fan of the Crow and Michael. I haven't seen the Crow in a few years so I might go hunt it down and watch again. The Crow is not something I have yet to encounter. Bravo to Michael. I've missed a few IWSGs winter all makes me go into hibernation mode! Huge fan of The Crow. I haven't heard of Michael. Thanks for the heads up. I hang out with readers all month long and it's such a great kick to commiserate with some writers once a month! Love IWSG. The Crow was an excellent film and I watched that one with The Spawn. Excellent choice of song-can't go wrong with Rush! I've never seen The Crow, but it sounds like a good film. The Crow's one of many, many apparent classics I've not got round to seeing. There's so much I'm missing out on! I'm crazy about The Crow and Michel Offutt! Michael's a great choice! Heard a lot about The Crow and must get round to seeing it. Michael is a wonderful choice! That is such an innovative theme for the challenge! Never saw The Crow but it was so sad when Brandon Lee died. His father's films were great, but he also died so young. I've never seen that movie. The story behind it is sad and interesting. My insecurity comes out in the words of Millie and Willie today. Sometimes you have to jump on the train with a crazy idea! Glad you went with this one, Alex. The IWSG is a terrific support system. I think Millie might even join! I swear it's just coincidence that I mention Brandon Lee in my IWSG post today! Eric Draven's quest for vengeance is part of what inspired my first book, and although the story has changed a lot in revision, The Crow still lingers in the traits of my Muse. So cool that you introduced your followers to this fantastic movie! Anyway, as always, I appreciated the IWSG and the great group of writers who prowl the web distributing encouragement and positive thoughts! Haven't seen The Crow but it sounds awesome. As is your IWSG group. Love reading the posts. Andrew, never knew there was a craze when it came out. If I hadn't been following it's development, I might've missed it. Mark, you'll find out tomorrow. Zoltan, it is - fixed now. Cassie, didn't mean to make you cry! Anne, can never go wrong with Rush. Yay for Michael, we're all behind him! I didn't see The Crow, but I remember Brandon's tragic death. So sad that he and his father were taken in the prime of life. I remember when that tragedy happened...so sad! Never saw "The Crow." Nice tribute for Michael. I really enjoyed The Crow. It was dark, but I liked it. Michael rocks! So does the IWSG. Thank you, Alex, for coming up with a brilliant idea. I cried for months when Brandon Lee died. He was so talented and just starting his career out from under his father's shadow. I watched The Crow so many times I wore out the VHS tape. I still listen to the soundtrack, there are some great songs on it. And you can't go wrong with RUSH! You did a great thing creating IWSG. I hope you know that. I haven't seen The Crow in so long. What a great classic pick, Alex! I am heading over to PTM right now to see you play the part of Cookie Monster. He's always funny so I know it'll be great. I'm looking forwarding to hosting IWSG today and I thank you for the opportunity. Really want to see the Crow. Michael is one of my favorite favorite bloggers and CPs. He's a copy editing genius, I tell you. You know, I'm almost ashamed to admit this but . . . I have never seen The Crow. My husband keeps trying to get me to see it but I always catch it in the middle (so I stop watching). Perhaps I'll look on Netflix for it! Thanks. Great synopsis. I think they're doing a remake of The Crow (of course). I really need to re-watch The Crow. It's been over 15 years since I saw it last and I have forgotten so much! Great movie. I love The Crow. We used to watch it for Halloween every year and I've dressed as the character twice. The IWSG is just amazing. Loved The Crow! I've seen it a ton of times. Guess that shows my dark side. More good choices today for AtoZ. Yup, Mike is s good friend to have. Says what he thinks and is very supportive. Didn't know that bit of info about Brandon Lee. Not a member of ISWG. I look at the mega list and keep thinking I won't have the time. There's nothing like having the support of people who're in the same boat though. Glad to cohost and read a few new blogs-- hats off to Michael. Michael Offutt is awesome! I never saw The Crow, but I find the comparison interesting. Now I must enter that giveaway. Sounds like a good movie. I remember Lee getting shot, always figured it wasn't really an accident bearing in mind what happened to his father. Keep hearing Michael's name, I should check him out. Not quite ready for the IWSG, too busy lurking around the A - Z. Best if I run off now and write my post. The Crow is one of my favorites. I thought Brandon Lee died in a fall on set. Thanks for the facts. So sad. I loved the movie The CRow and thought it was horribly tragic that Lee died on the set. I also enjoyed his other movie, Rapid Fire. What a shame he died so young! Haunting. I haven't watched the movie, not that I don't want to, I just don't want to- you know what I mean? I have yet to see The Crow. I may need to rent it. I love your A to Z theme! That's so cool! I haven't seen The Crow, but I've certainly heard about the actor's death in it. Scary and very sad. I've never seen the Crow. It sounds like an intriguing movie! Miranda, that's a good thing though. The Crow is great but always makes me a little sad to watch it. Michael is awesome, so is PTM. Heading over there now to check out his post. Hard to keep up with all the cool stuff going on! I'll be doing my best. Don't know how you do it Alex! Michael is awesome! He's such a great friend! The Crow is one of my favorite movies of the 90s, and I do remember Brandon Lee died while filming it. I can't remember if I saw The Crow. Need to check it out. I remember when Brandon Lee died. So sad. I'll let others enter for your book. I want to buy it. Another great post, Alex. Started watching "The Stand" on netflix yesterday (another based on a novel by S. King). Haven't seen "The Crow" and don't do much with scary movies at all. Not sure if I'll be up for it for a while, once I get through this mini-series. Shout out to Michael. I'll be stopping by. Yay for Michael! He's the best! Love the triple match up with Michael today - wonderful! "People once believed that when you died, a crow took your soul to the land of the dead.....but sometimes, just sometimes, the crow could bring that soul back, to make the wrong things right..." I really love this movie. Frank Castle vs. Eric Draven? I'd pick Eric. Ah, the Crow! I loved the movie and the TV series as well. I love the character. I still have to meet Michael. What? the giveaway only for US and Canada? :( Dragon must go to pout somewhere else. Yay to Michael Offutt! The Crow is a great film. THE CROW was awesome, and still terrible about Brandon Lee. Can't go wrong with a Rush lyric, imo. I have a feeling I'm going to be learning a lot about movies and music this month. What a shame about Brandon Lee. Thanks for posting the link to the editor list. I'm happy with my editor, but it never hurts to have a backup, right? please tell me which are the best songs for Dream Theater... someday. I totally agree about Michael. He's amaze-balls! I remember when BL passed away. It was so sad. I loved that movie. It was so sad that Brandon Lee died just like his father from a prop gun. I love your theme for the challenge. Yours is one of my favorites for C.
To wait a couple minutes in the hope of being #100? Nah, I'll comment now. I don't think my post showed on your roll again, Alex. Grrr. But I want to be sure you know I made it to the IWSG. I'm excited to read PTM's post too. Here I go. Never seen that movie, but it does sound haunting. Oh thank you so much for the shout out today, Alex. What a wonderful surprise! Boy Brandon Lee's death really brings back memories. It happened for me around the time I was in college, and I recall that Dragon: The Bruce Lee Story was in the theaters. I felt so sad for the Lee family, because Brandon held such promise as an actor. The movie "Dragon" hinted at a family curse. I don't believe in those kinds of things, but it definitely was a huge tragedy. The Crow is one of the finest comic book adaptations I've ever seen. I bought the special edition version of it a few years ago. I love IWSG!!! Thanks for letting me be a part of it. :) Have a great Wednesday! Love IWSG, even when I don't get the chance to post, everyone else really inspires me. Love it! My sister really likes the movie The Crow. I haven't seen it yet; I'm adding it to my Netflix queue right now. I'm a Bruce Lee fan, so I should really check out his son's final film! I remember all that drama around The Crow. Craziness! I'd forgotten the tragedy surrounding The Crow. That was so terrible. I'm late, behind and behinder today! However, I'm gathering my super powers and should soon be caught up. I'm going to have to check out The Crow, haven't seen it. Still haven't seen The Crow. I love the Crow, but I'd never heard that story before about Lee's death. That;s so sad. I was in junior high when The Crow came out, but even then I didn't see very many movies. I probably have only seen a relative handful of the well-known movies from my lifetime. Summer, the sequels were lame. Jeremy, start with Count of Tuscany. JA, awesome of my publisher to do it. Desert, be weird to pick myself! The Crow is one of my absolute favorite movies! I watch it at least once a year if not more. To lose someone such as Brandon Lee is heartbreaking and I am glad the movie was released despite the accident. My insecurity today is the same as any day ... health. Really enjoy your blog theme. Even if the interests do not coincide with mine, it's fun to learn something every day. Another film I haven't seen. I wonder how many I will have been able to say I've seen by the close of April? I think he's amazing. And a wonderful person in this community. And IWSG is incredible---I love your humility with the group, Alex. It truly was inspired. It lowers the walls and puts us on all equal planes. And it really does help. Thank you. Hey Alex, I've never seen the Crow, but I do remember when Brandon Lee died...doesn't seem like 20 years has gone by since then! I guess I didn't read the question properly the other day. I thought you were looking for a band, not the lead singer of a band! That's what I get for rushing! I know Ernie Hudson from Ghostbusters, and from Congo. But the cop shows elude me. Crow was haunting, you are right. Yay for Michael and the Crow! Great choices. Yay for Michael! A very nice tribute. I'm enjoying your theme, Alex. Darn it! I forgot IWSG today. Never got to see crow but read about Brandon Lee - Bruce Lee's son, right? My IWSG is up, please read it with an open mind if you do find time to visit my blog. IWSG, RFW and reviews are what keep from leaving the blogging world. Micheal Offut is a cool guy...and I wish him success in life - personal and professional. I've had so much difficulty in the past getting this comment box to load, but I (think) I finally solved the problem. I have to turn off my modem and then back on. Today I had no problem, so hopefully that's the answer if it happens in the future. Anyway, I'll catch up on those days that I was here but couldn't get it to load. Great movie choices! Thanks for the Feedly info! Here's a trivia tidbit that has reference to Brandon Lee. Wilmington is where I did my movie work, too. First at DEG Studios, then Carolco. When you mentioned it, it took me back. Always a pleasure coming here and catching up. The Crow is one of my favorites-very tragic that Brandon died-I think he would have been huge. Brandon Lee's death is so tragic, as is his fathers. Awesome movie choice. And thanks again for the IWSG. It seriously keeps me going. I never did see The Crow. I'll be in for IWSG next month! Tragic death shakes us to our core and makes us look at everything differently. I think that maybe it is a wake-up call... a not-so gentle reminder that no one knows how many days that they have, so they better make them count. I love Michaels writing, so powerful! One of my instructors at film school was the assistant director on The Crow. He told us about the day Brandon was shot. Terribly tragic, and emotionally scarring for everyone involved. I've always looked up to Bruce Lee, studied Jeet Kune Do, watch all his movies, etc. His remarkable honor and personal strength was amazing and Brandon was nothing less. I haven't seen The Crow in years. It may be time for another viewing. Great tribute to Michael O. And thank you again for IWSG—truly an inspired conception, Alex. Wow. The Crow. Haven't seen that one in ages. I sorta remember bits and pieces, but the complete plot eludes me right now. Would need to revisit it someday. Rebecca, your tastes probably aren't as odd as mine! Nutschell, it's not at all scary. Larry, you may not remember the title, but that is one of the movies. That was a wonderful tribute for Michael. The Crow has been on my to-be-watched list forever! I think you just inspired me to finally watch it. The Crow... excellent choice, Alex. And that reminds me. Have you seen RedBelt yet? I'm not sure why The Crow made me think of RedBelt, but there's something about the hero. Anyway, I'd love to know what you think. Insecurity today is not budgeting my time well enough to be spread thick-like-jam instead of thin-like-jelly in all the areas I need to. The good ones always take off before the sun goes down. Never did catch the Crow, too busy watching trek. I totally fell in love with The Crow when I first saw it but after hearing that Brandon was killed during filming, I couldn't bring myself to watch it again. It was such a powerful performance... I'd have loved to have seen him in further movies. It's so sad. Haven't seen The Crow yet. I guess I should give it a try. Oh boy I forgot to post for IWSG today. Just can't keep up with it all. But you sure do a good job, Alex! Anyway, I adore The Crow. I have to watch it every couple years and I love the dark theme and Brandon Lee. Such a shame he died so young. I remember it well when it happened. So sad about Brandon Lee. I did see the movie. Enjoyed the post! Big fan of both The Crow and Michael. I'm not a member of the ISWG...and I really don't know why. Huh. Have to remedy that. I am enjoying your theme! I did not see the Crow but it is one of my husbands favorites. I am a huge fan of the IWSG and cannot thank you enough for the opportunity to be part of it. Definitely a fan of Michael's. There was a dark beauty to the Crow. And I'm glad you invented IWSG. I've been meaning to give a look at the IWSG for sometime now. No time like the present, eh? The Crow soundtrack may be the first (and best) soundtrack I ever bought. It introduced me to lots of bands I wouldn't know of otherwise. Brandon Lee's death does have a profound effect on the atmosphere of that movie... Not unlike Heath Ledger's death to The Dark Knight. Thanks for informing me about my comment block, by the way. I've never even known it was on! That's a nice tribute to Michael Offutt. I adore and admire Michael. I am so glad you recognized him today. He is awesome. Alex, I don't know how you host and participate in so many events. I get dizzy just thinking about it. You rock! Cool move and I love Rush. I am such an 80's kid. 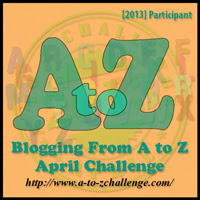 Oh my, I'm struggling to keep up with you and all the rest who are doing the alphabet challenge. So, my visit will be but fleeting. I've got to heartily concur that "The Crow" was a haunting film. Michael Offcut is one heck of a nice guy. Time for me to go listen to some "Rush" me thinks. Happy alpheting to you and to all participating. Michael Offut is indeed a wonderful guy who's had too many challenges, and I plan to watch The Crow (which I've never seen) in his honor. And of course I can't answer the trivia question! I am a fan of Michael's and his books. He is multi-talented. I linked my insecurity today to C.
Ack! I neglected to post for IWSG in the haze of A-Z. Yay Rush! Angela, go and watch it! J Lenni, you got one right. Doreen, I'm glad it means so much to you. Marta, and you've never missed one. Thank you! Ouch! I think I got a finger cramp scrolling to the end of your comments! Hooray for IWSG, Alex. It really is an amazing thing! And the IWSG is a tremdous success because of the love and support you show all if us... We just want to keep it going too! Interesting, I think music is strict in the development of the action. I also want to say that me and Karen will definitely be signing up for the IWSG next month. It was crazy to jump back into blogging by creating a whole new blog and starting in with the A-Z challenge, but next month I'm definitely up for IWSG. I love that group! Good pick on the movie and the blogger. Darn you, Mick Jagger. I guessed Robert Plant. I saw the Crow in the theatre and was in total awe. I still am & I agree that the soundtrack is amazing. And I'm still laughing about this: "None! I bathe in eggs. Keeps the fur shiny." Haha! Karen, I'm glad you are joining us! It's an amazing group of people. The Crow is definitely one I would re-watch. I remember all the suspicious drama surrounding Lee's death, especially given the mystery behind his father's death. Nice tribute and movie analogy, Alex. 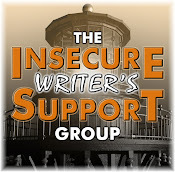 ISW is a great idea and support for writers. It helps the writer see that we all face similar doubts and problems. Sometimes, it's all too easy to think you such lemons and no one else has the problems you do. I really need to note IWSG in RED ink on the first Wednesday. Sheesh. Thanks for adding snark to Cookie Monster. We should team up again. I haven't seen The Crow in a long time, I need to give that another look. Oh, Michael is awesome. I had the honor to meet him at a writer dinner over a year ago. He cracked me up. Yay for Michael! Truly enjoy the way you dedicate your posts to other bloggers. Wonderful! If folks don't know about IWSG they don't have a blog! Awesome creation! I loved The Crow and probably need to watch it again. Tragic the way Lee died and kind of creepy too. That was interesting about Satriani, I did not know that. The Crow is a great movie as is Dream Theater a great group. I didn't catch this yesterday. I did not know about Satch and The Rolling Stones, wow! Great choice in Michael. after reading your post today I'll be adding the Crow to the must sees! Thanks and have a great day. Love The Crow, I'm going to have to see if Netflix has it and see it again. Yay for Michael - and Rush! Do you know, I only saw The Crow the year it came out - and haven't seen it since! IWSG has been a lifesaver for me this year, and I'm so glad to be a part of it! Great write-up of the Crow, you really nailed it!! Those were some nice words there that you said about Michael Offutt. I haven't seen The Crow in years, but I do remember loving it. Great ode to Offutt! He's such a talented writer.